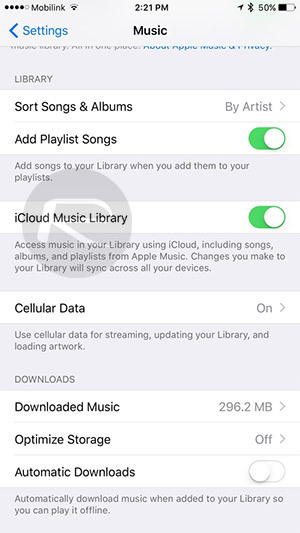 Here’s a guide on how to enable Optimize Storage in iOS 10 Music app to save storage space on your iPhone, iPad or iPod touch device. Back in the day when the iPod was in its heyday, having a thousand songs in your pocket was a big deal. Nowadays we have millions thanks to Apple Music and Spotify, but while they’re great when you have an Internet connection, if you don’t you’ll soon wish you had that old iPod to hand. 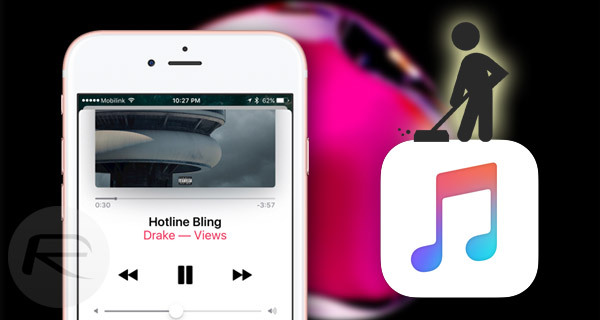 You can of course download songs to your iPhone or iPad for offline use, but that all takes up space and while new iOS devices are offered in large capacities, not everyone can spare the change for that. That’s where a clever trick in iOS 10 comes into play. 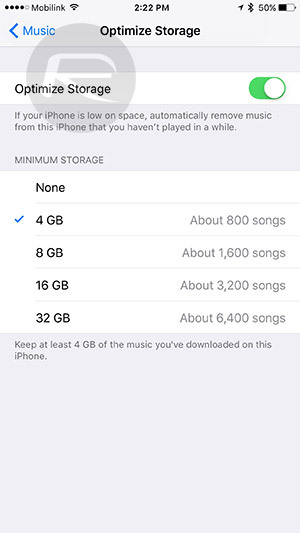 Using the new Optimize Storage feature within the recently released iOS 10, music lovers can download their Apple Music tracks to their device and then set a maximum amount of space that those tracks are allowed to occupy. Once that threshold is reached, older songs are deleted to make way for new ones, while favorite songs are kept safe. Step 1: Open Settings and navigate to Music. Now, make sure that iCloud Music Library is enabled. This whole thing depends on it. Step 2: Next up, tap Optimize Storage under Downloads. Step 3: Tap the toggle to turn Optimize Storage on, and then select the amount of space you want to assign it. You can now sit back, relax, and listen to some music safe in the knowledge iOS 10 will take care of the rest. Apple released iOS 10 and the updated Music app earlier this week, and even though there were some early teething problems with regard to the update process, initial reactions have generally been positive.